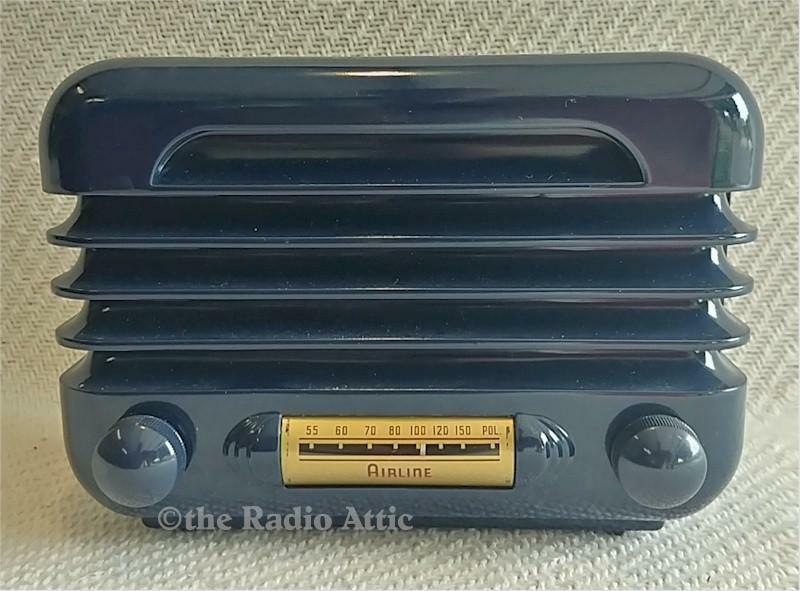 Midget or "peewee" radios are very collectible and hard to come by in such pristine condition. This Bakelite cabinet in Harbor Blue (rare color) has its original color and blue knobs. It still retains its original metal back and badges. The capacitors have been replaced and the tubes and resistors were checked and replaced as needed. A proper alignment was done and this four-tube, AC/DC AM only radio plays like new with good volume and sensitivity. 7"W x 5"H x 4"D.
You are visitor number 842 to this page.